DJ2K are one of London and Surrey’s foremost professional wedding DJ and entertainment providers. We aim to offer some of the very best DJ and event services in the world and our mobile DJs and event DJs have a proven track record and unrivalled reputation for providing an outstanding service. We have worked at London’s best five-star venues, including Claridges, Café Royal, The Shard, Mandarin Oriental, the Dorchester and The Berkeley. We will make your event or wedding unique to you and also stylish and fun. As well as weddings, we provide event DJs and mobile DJs for parties and corporate events. What makes us stand out from the crowd? Aside from our deep passion for music and extensive expertise, we will always offer you a personal service tailored to you and offer an unparalleled customer service and approach. We put your experience at the heart of everything we do. We offer a premium events package, where we can bring together our expert DJs, with fun-filled photo booths, stunning giant letters, flawless dancefloors, state-of-the-art DJ lighting and audio visuals an innovative magic selfie mirrors. Trust us to make your event one to remember – for all the right reasons! For further information about our services, call our team now on 0800 783 2928. We also offer wedding DJs in Surrey. We take our role in weddings and civil partnerships very seriously because we want to do an exceptional job for you on the most important day of your life. After months of planning, we know that you will want everything on your day to ensure it goes fantastically. Our wedding DJs will work with you to line up some floor-filling anthems that will ensure your celebrations are everything you imagined and more. We know you will want a series of perfect moments delivered and from the first time you hit the dancefloor onwards, we aim to pitch the music and atmosphere to perfection. 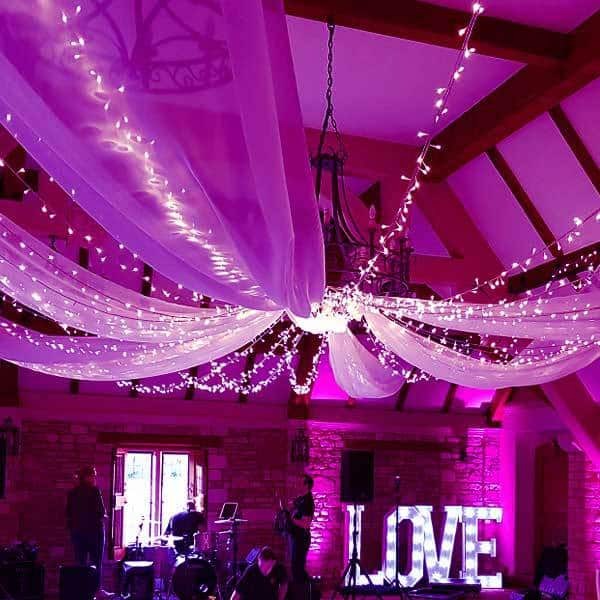 We use the most professional equipment and also have a range of additional features, if requested, including photobooth hire, giant illuminated letters, magic selfie mirrors and draping and décor. There are many beautiful wedding venues in London and we have provided our award winning dj services as most of them. Whatever your event, our mission is to get the dancefloor packed and your friends and family partying like never before. We will spend time with you to understand your music tastes, so whether you want club classics or music that is more niche, we have music solutions for every occasion. We play all styles of music from the 1960s to the present day, including Pop, House, Dance music, Hip Hop, R&B, Soul, Garage, Drum n Bass and more. We also provide mobile and event DJs for corporate events, so whether you are a big brand looking for DJs for an important product launch or a fashion label needing DJs for a cool and stylish party, our DJs will create bespoke solutions for you. 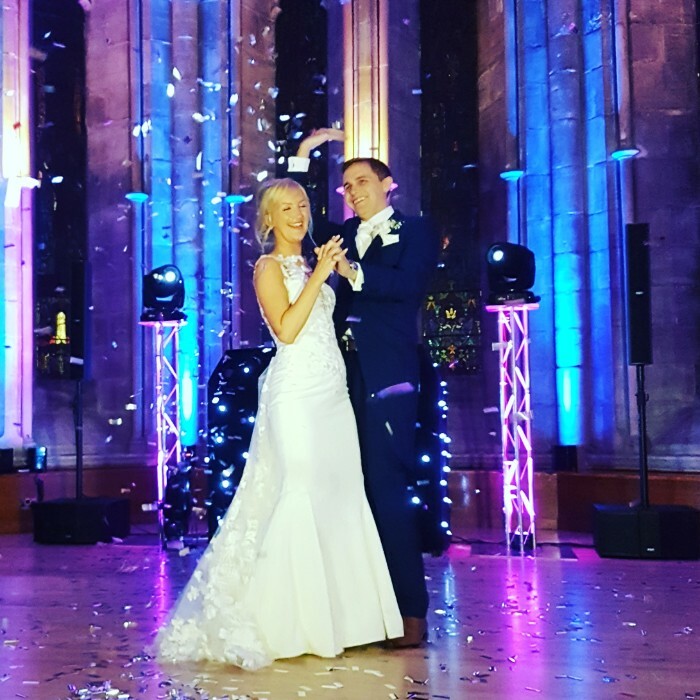 We can provide all the elements you need to have a fantastic party, including audio visual hire, DJ lighting hire, photobooth hire, magic selfie mirrors, dancefloors and backdrops. This will transform the ambience of any space and give you event that special touch. Our set-ups are professional, stylish and show-stopping. Ideas like photobooths and magic selfie mirrors will add a whole new dimension of fun to your party and provide many magical moments for your guests. We are some of the most experienced event DJs in London. If you would like to find out more about us or get a quote, call us now on 0800 783 2928 or email info@dj2k.co.uk.